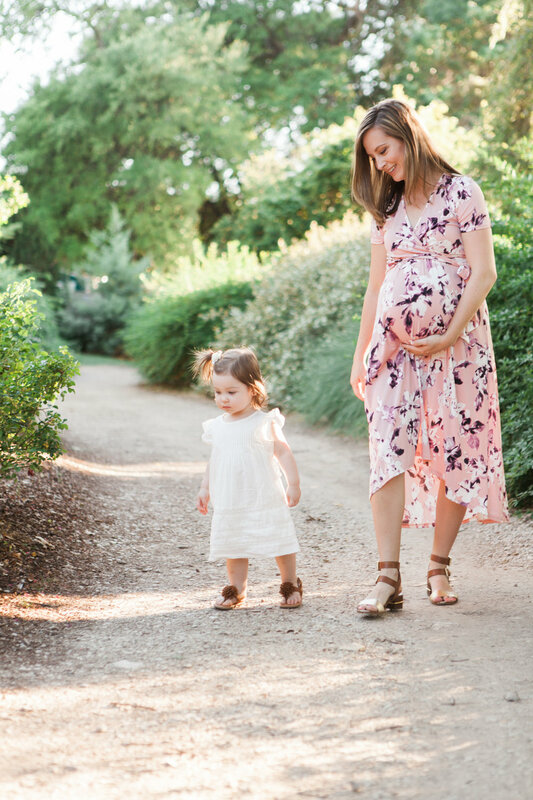 So thrilled to be sharing this film maternity session I shot for my lovely friend Liz, at the Dallas Arboretum. Liz brought along her 1.5 year old little one for part of the session and she was so cute. Busy and curious, as any toddler, she ran around exploring and laughing, but was more than happy to give her baby sister, kisses and her mama, hugs. Having a second child brings a whole new set of changes to a family. You already know to expect the sleep deprivation and the constant needs of a newborn, but you don’t know how you’ll manage that and the previous life with your first born. Liz’s composure and peace about this new little one is so inspirational. It is such an honor to photograph motherhood and families. What a gift a new life is and I can’t not wait to meet this little one!